Where are you in the World ? Why not add yourself to the Members Map ! 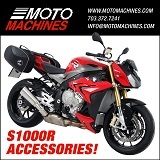 Join our S1000R Photos Gallery. Upload you photos, create albums, and easily embed the images into your posts ! 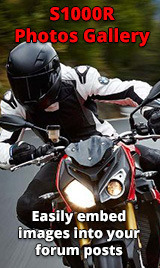 The place for all NON-BIKE related chat, i.e. general chat, jokes, funnies, sport etc. Please keep it clean....! Chat about your S1000R track days experiences. Link to our sister site - the S1000XR Forum. Do not reply to topics unless you have a genuine interest in the item!